Three-thousand archeologists are on the loose in Sacramento, gathered for the 76th annual meeting of the Society for American Archaeology, which runs through sunday. According to the local paper, members of this tribe are avid researchers one of humankind’s oldest recreational beverages. The Bee reports that in 1993, they drank all the beer in the conference hotel, and this in St. Louis, hometown of Anheuser-Busch. This is good news for those who have wondered if we are the only culture in the historyof the world that buys our dogs presents at Christmas and Jackalope horns at Halloween. Actually, we probably are. Langenwalter, who has studied Indian burial sites dating to 1700 has not recovered any Jackalope horns, but he has found many other things of interest. Native people and their dogs were often buried side by side, curled up in a sleeping position. Dog graves were also marked with stone cairns. 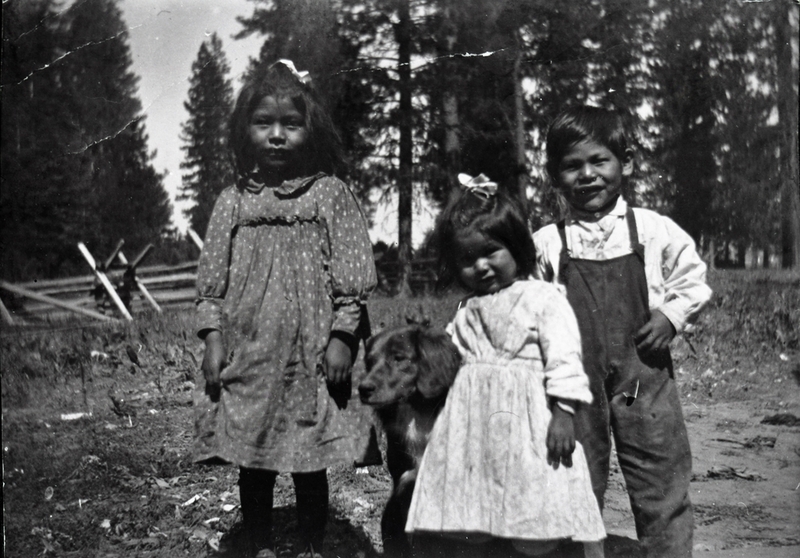 Early European observers noted the close relationship between native Californians and their dogs, and this is confirmed by Debra Grimes, a Miwok Indian, and cultural preservation specialist for her tribe. Grimes agrees that dogs were historically buried as a member of the family, because they were. I am reminded of a story I heard so long ago that I cannot even remember its source. My best guess is that it is either a plains Indian legend or that it comes from the Pacific Northwest. When the earth was young, humans and animals were natural allies, and the friendship of the animal tribes made us very powerful. So powerful, in fact, that gods were worried. (Even then we had a tendency to get too big for our britches). The gods decided to separate the human and animal nations, so they opened a chasm between us in the earth. From a small crack it grew deeper and wider, the animals on one side, people on the other. At the very last possible moment, Dog jumped across the gap to stand with humans, and that is why dogs have been our special friend ever since. Enjoy the article and wish the archaeologists well. Who knows, they could find the Jackalope horns any day! This entry was posted in Animals, Science and tagged authors, Dogs, history, Science. Bookmark the permalink. Fascinating article. Thanks for the link. I’m glad we no longer need to catch and kill our dinner when invited to a neighbors home for dinner! Isn’t that the truth! And in my understanding, life in this climate was easier than in many other places. Imagine winter on the northern plains without central heat and air!